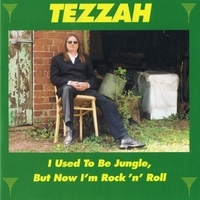 Terry "TEZZAH" Harris is a Guitarist, Singer and Songwriter. Playing guitar from the age of 14, blues and rock music have influenced his writing and style. Following up on the success of his single "Nothin' To Lose" this album features new songs and studio versions of some of his most popular live songs. Searing guitar, blues vocals and a solid rhythm section, make the live shows from this blues/rock power trio a classic rock experience not to be missed!